One of the world’s greatest collections Post-Impressionist paintings by artists including Georges Seurat, Paul Gauguin, and particularly Vincent van Gogh, is at the Netherlands’ Kröller-Müller Museum. Only Amsterdam’s Van Gogh Museum contains more works by the world-famous Dutch artist than the Kröller-Müller Museum does. Other modern artists, such as Picasso, are featured as well. 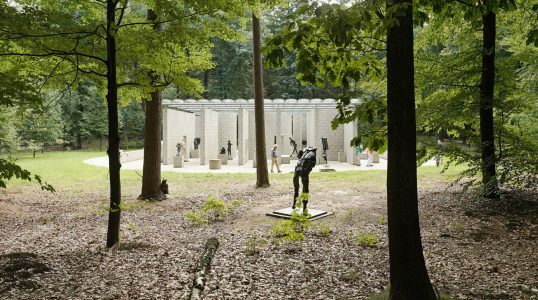 The Kröller-Müller Museum’s sculpture garden is set among the numerous trees and walkways surrounding the building. The stark difference between the natural area outside and the indoor painting galleries give visitors two distinctly different experiences at the museum.